We deliver all riser recliner orders in 2-4 weeks. Delivery of all other items will be between 8-10 weeks. Please be aware though that delivery can be extended over the Christmas, Easter & New Year periods due to the annual factory shutdown. If you have any concerns about this please call us on 01283 740004. 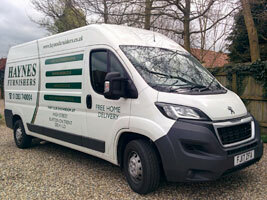 If you do require the recliner within a quicker period please call us about our super zip speed delivery. If you tell us which model you require we can then confirm which fabric/leather we have it in and get it to you within just 10 days. Often we are asked if we can take away the old chair or recliner, this is possible although we do have to charge for this, please discuss this when you place an order as it must be pre arranged. Please note that delivery is free across mainland England & Wales and Scottish postcodes areas of DG, TD, KA, ML, EH, G, KY, FK & PA1 through to PA19. 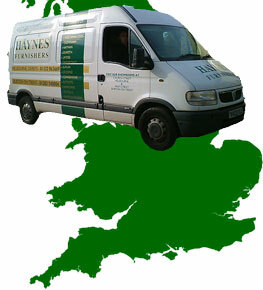 For all other Scottish postcodes, please call us on 01283 740004 or email info@recliners4u.co.uk to discuss. 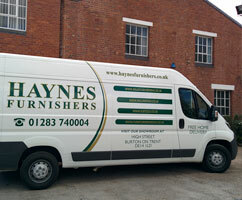 THIS IS A TWO MAN DELIVERY AND THE FURNITURE WILL BE DELIVERED INTO YOUR ROOM AND FULLY SET UP BY OUR DELIVERY MEN. WE WILL THEN TAKE AWAY ANY PACKAGING AND GIVE A SHORT LESSON ON HOW THE CHAIR OPERATES IF REQUIRED. SOME OF OUR COMPETITORS SIMPLY SEND A PARCEL COMPANY WHO WILL LEAVE THE ITEMS, IN PARTS, OUTSIDE YOUR FRONT DOOR AND LEAVE YOU TO IT !